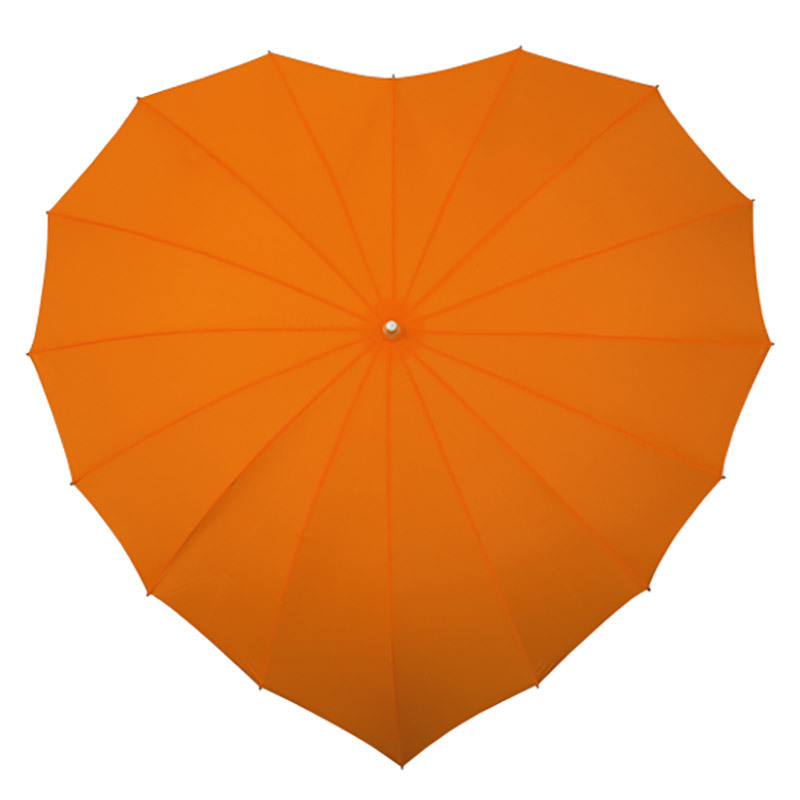 Orange Heart Umbrella - Umbrella Heaven, 1000+ umbrellas! 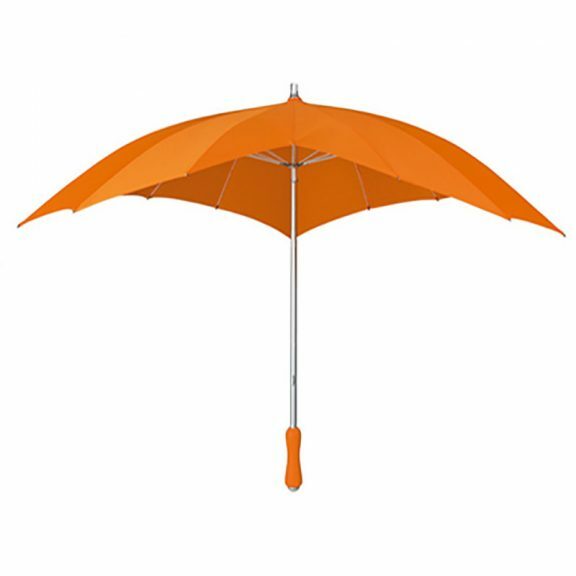 New to our renowned range of Fashion Umbrellas, the Orange Heart Umbrella has a strong yet lightweight 16 spoke fibreglass frame which makes it totally windproof. With a striking orange canopy, this beautiful Orange Heart Umbrella will get you noticed in any crowd. 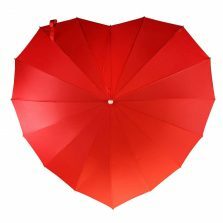 If you love someone – you just have to spoil them with one of these very special Fashion Umbrellas. Around 88 cm in length this unique Orange Heart Umbrella has a very smart, colour coordinated, ergonomically designed rubber handle which helps make it easy to carry and boasts a strong, lightweight aluminium shaft, matching tip and handle protector. 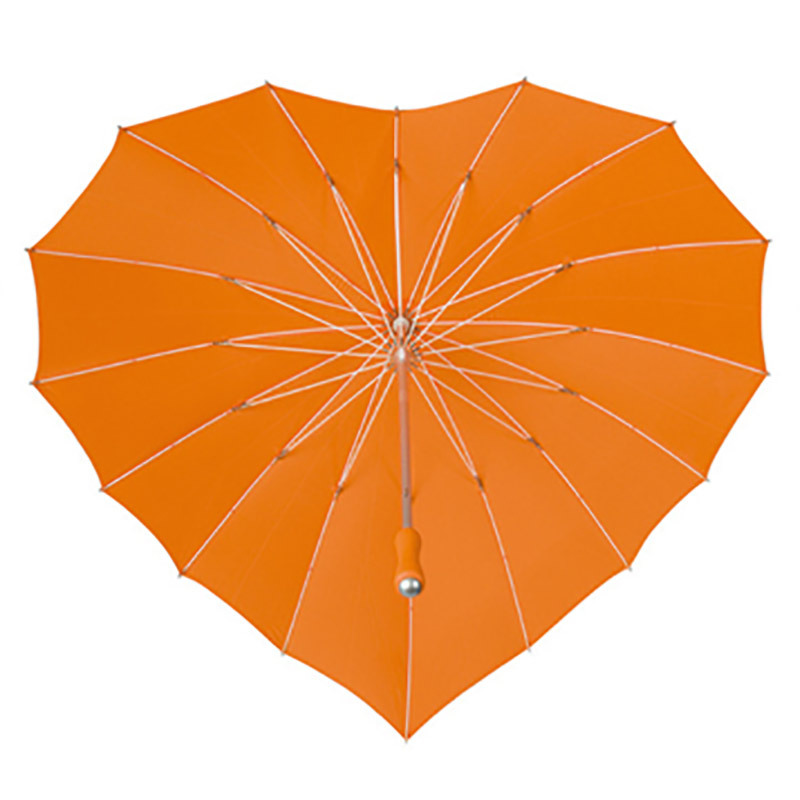 Let the person you love know that you care with the Orange Heart Umbrella – Style with a touch of Class! 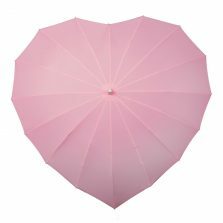 The heart shaped canopy is BIG too, at 110 cm wide and 100 cm front to back. These umbrellas are so cool you’ll be hoping it will rain so you have a reason to show it off! 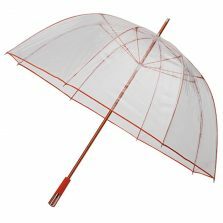 Please note: these are full length – not compact ‘pop it in your handbag never to be seen again’ sized umbrellas. 16 rib frame – double the ribs, double the strength. 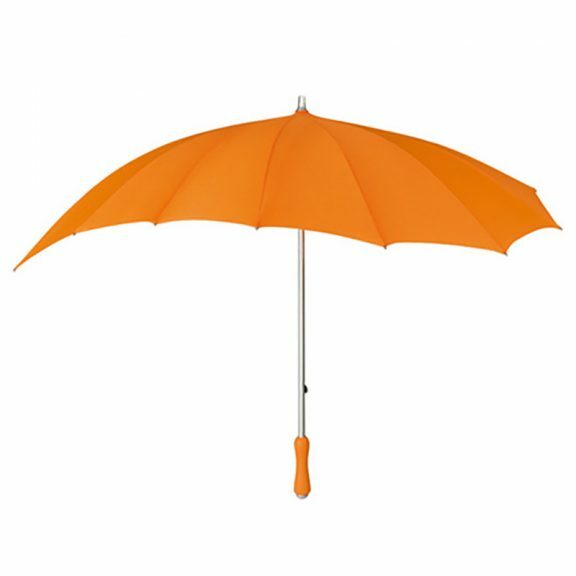 Not the one for you? Check out the rest of our range of quality Heart Umbrellas!